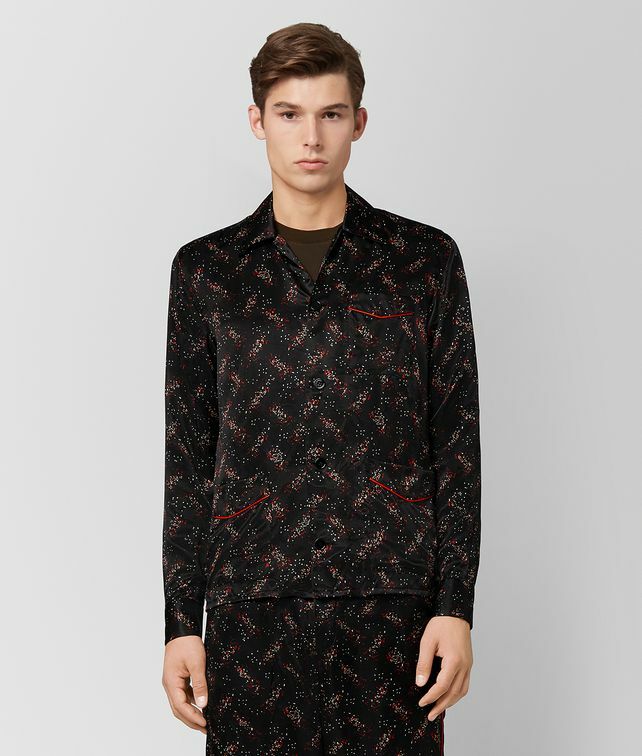 Lounge meets luxury in this silk pyjama shirt, featured on the runway at our Fall/Winter 18 show. Inspired by the casual uniform of the New York man, the style is designed to both wear at home or out in the city. The graphic pixel print, also featured on bags and small leather goods this season, is enhanced by piping on the pockets.